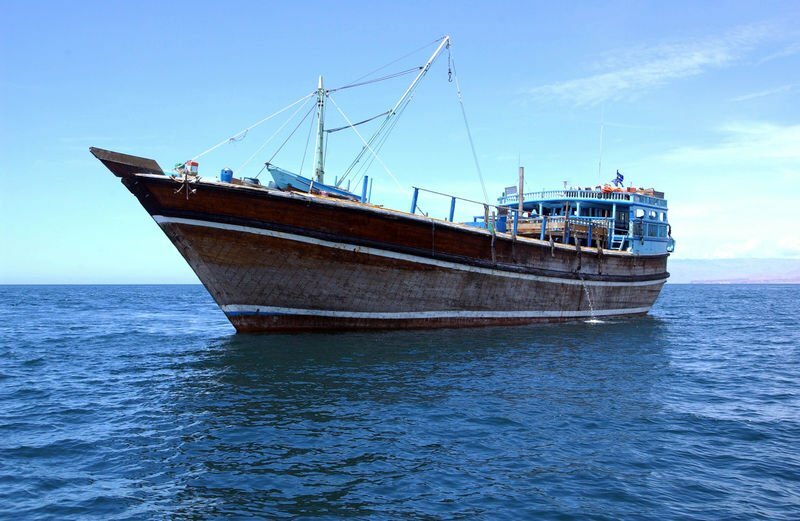 Dhow in Gulf of Aden (April 30, 2005). A dhow is a little coaster wood-made. its origin is from Arabia. 050430-N-5526M-002 April 30, 2005- Sailors from USS Normandy (DDG 60), USS Typhoon (PC 5), and USS Firebolt (PC 10) prepare to board a dhow. All three ships are currently deployed in the Gulf of Aden conducting maritime security operations (MSO). MSO are aimed at setting the conditions for security and stability in the maritime environment. Illicit activity at sea has a global impact. MSOs pressurize the maritime environment and are the single most significant component of the conventional maritime effort against terrorism. This page was last modified on 10 March 2009, at 04:14.